No matter what we do, we never really know what will happen to us tomorrow. You could have the best laid plans ever and do everything right to realize the goals of those plans and then something completely out of your control can happen at a moment’s notice and potentially turn all of those plans on its head. I use the word “potentially” because it is really up to you if you will let the hand of fate disrupt your dreams and goals. Mario Bonfante Jr is someone who did not let fate deter him from what he wanted. Mario always wanted to race and in his early years his weapon of choice was anything with two wheels. He graduated from BMX racing to Motocross and from Motocross he moved onto cycle racing where he quickly established himself as the next American Moto GP prospect. Unfortunately, Mario injured his neck while riding a bicycle and became quadriplegic as a result. However, he did not let that stop him. 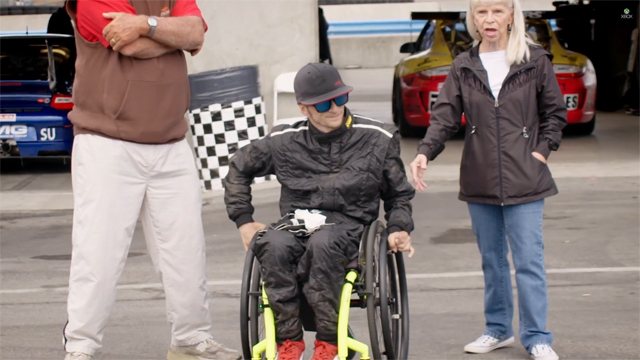 Now, Mario is not the first person to overcome a disability to make it in motorsports. Military Veteran Liam Dwyer suffered a horrific injury in combat and lost part of his left leg but he over came that to become a Mazda MX-5 cup racer. There is also the famous story of Alex Zanardi who lost both legs in a Champ Car accident but came back to racing with BMW in touring cars. However, what makes Mario different is that he literally engineered his return to racing himself! I won’t spoil it for you here because you really should watch the video below to see how he did it! I will say that Forza Motorsport was involved in his return to racing in a really cool way.